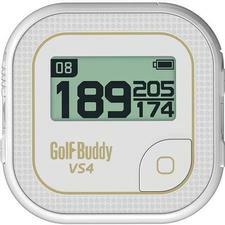 Golf Buddy VS4 Voice Unit White ( No Annual Fee ) - See Price in checkout! - GolfersEdgeOnline.com - Best Golf Equipment On The Web! Our Price: See Price in checkout! If you have any more questions about the Golf Buddy VS4 Voice Unit White ( No Annual Fee ); do not see the model you are looking for; need custom options; or prefer to not purchase online, then please call us at (630) 656-1291.